Watch the highlights of the most exciting game in SEA Games 2015. Philippine Gilas Cadets vs Thailand basketball team. Game happened in Singapore last June 14, 2015. The game was really an exciting game. The Thailand team never surrendered against the defending champion Philippines. Troy Rosario lead the Philippine team with his 27 big points and Vosotros added 18 and Kiefer Ravena contributed with 12. The game was ended 80-75 victory by the Filipino. 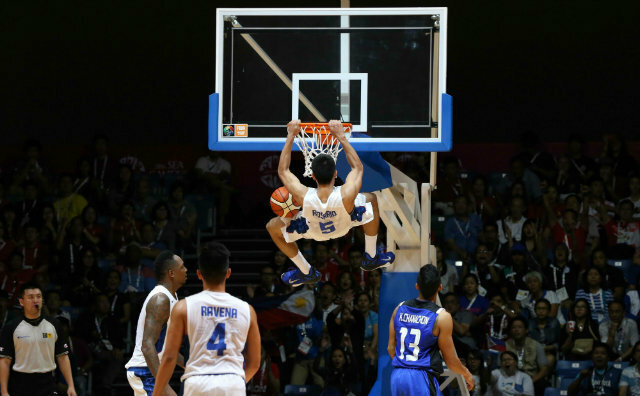 Philippines (80) - Rosario 27, Vosotros 18, Ravena 12, Ferrer 7, Khobuntin 5, Douthit 4, Belo 4, Baser 3. Quarter scores: 14-22, 33-43, 59-56, 80-75. The scores was so close but the Philippines emerged and were going to face the Indonesian team on June 15, 2015 for the gold medals.